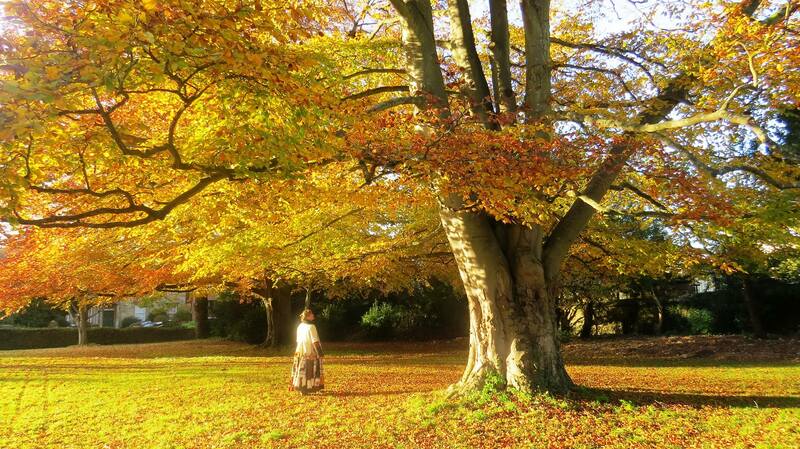 Exciting News – Druid College UK is born! After months of planning and preparation, Druid College UK is born! Working with our sister college in Maine USA, the Druid College is dedicated to Earth-centered spirituality, to the integrity of our natural home, and to the crafting of sacred relationship. In short, The Druid College devotes its presence—and it is its sole intent—to prepare priests of Nature. The nature of year three is that of being in the role as priests. We envision this year as one of walking the path and sharing those activities with the staff and other apprentices, learning from each other, acknowledging the work, declaring your “Chair” and manifesting it locally. For full information, see the Druid College website HERE. For me, Druidry is not a white-robed affair. Crawling under low scrub pines and getting inside secret places of gorse bushes where only the deer trod, or standing on the seashore in the howling rain, or in the heart of the forest with the badgers and mosquitos – it just doesn’t work. Druidry is not clean. It’s not an exercise only for the mind. It requires experience to turn what you have learned into real wisdom. It’s not just book-learning. Until you get out there and commune with the landscape, it’s not felt in the soul. It cannot live in the head. It will get you dirty, wet, hot, sweating, cold, scratched, bitten. It is dirty fingernails and peering under bushes. It is a return to the curiosity and wonder of the child, yet it is not child-like. It is deep learning, deep experience. 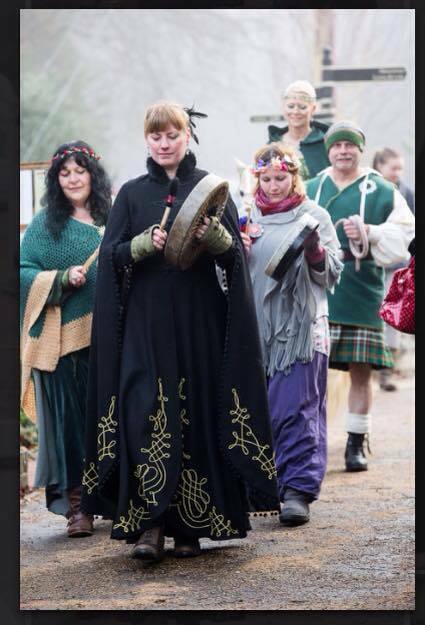 Druidry is not a male-centred religion or spirituality, nor is it female-centric. It is about equality and egality, anarchic and subject first and foremost to the teachings of nature. It not just about standing in stone circles waving swords and reading off of sheets of paper with a group of other people, the media and tourists alike taking photographs. It is doing work in the heart of where you live, often without thanks or regard of any kind. It is giving back to the land, honouring the cycles and working for the community – and by community, I mean each and every living thing in that area wherein you live and call home, not just human. It is not about power and ego, but about communion and deep relationship. It is about dropping ideas of the self to better fit in the landscape. It is not about writing loads of books and offering courses, achieving kudos through output, students and media. It is about the sharing of inspiration, acknowledging the inspiration of others and allowing the awen the flow through you in whatever way you see fit. One may be a teacher, or an author, or someone with whom the media interact – but they are not a spokesperson for all Druidry, nor a guru of any sort, and have no monopoly on wisdom. There is little room in deep Druidry for ego. There are no titles, save those bestowed either by a person on him or herself, or by a group of people following a shared path and learning. These titles are not relevant to all Druids – just to the person or the group. Claiming to be an arch-druid of so and so has no bearing on those who are outside of the group. There is no central authority in Druidry. Druidry is not about having things – it is about doing things. It is being utterly mindful of personal and global consumerism. It is about looking at everything that you do, everything that you have, everything that you take and everything that you give back. It is not about doing the bare minimum. It is about sacrifice, of time and ignorance, of ego and of desire. It is about constant re-evaluation of ethics, values and honour. It is about constant learning. Druidry is not about attaining levels of initiation or ordination within learning, however. Courses and instruction may guide us, may open our minds and shatter pre-conceived notions, expanding awareness – but they are not there to gratify the ego through the bestowing of grade or rank. Druidry is also not about a specific point in time, where to call oneself a Druid means to have studied for twenty-some years, learned the genealogies of kings, etc. The Druidry of the past is not the Druidry of today. The Druidry of a small frame in time within the past and from a small, specific region is most certainly not the Druidry of today. Its wisdom can guide us, but it is just one window in a mansion of many halls. The Classical Druids were the Classical Druids – we are not, nor can ever be, Classical Druids. Druidry is not just an exploration of the self. It goes beyond the self, to a life lived in service to others. These are just a few things of what Druidy is not. It is allowing the wisdom of the oak to guide you in all that you do.